Despite Cisco (s CSCO) saying it will ditch its home and building energy management products last month, the router giant still sees a promising industry in the smart grid and held an energy-focused summit on Tuesday. Among the topics Cisco CEO John Chambers and Cisco SVP of Connected Energy Laura Ipsen discussed was the importance of using social networks as a third leg for the smart grid. Perhaps social networks can provide important information automatically for utilities, like streaming data about their customers who are experiencing outages, said Ipsen. Utility customers are deeply engaged with web 2.0 social technologies that will be crucial for interactions with utilities, like delivering bill alerts, and information about peak load shaving and variable pricing, explained Ipsen. While Cisco’s smart grid strategy has shifted recently, and now seems somewhat unclear, Chambers assured the audience: “We are committed to your industry.” He also compared the evolution of the smart grid to the evolutions in IT infrastructure from telecom to routers to cloud computing. “History repeats itself … I’ve seen this movie before” said Chambers. 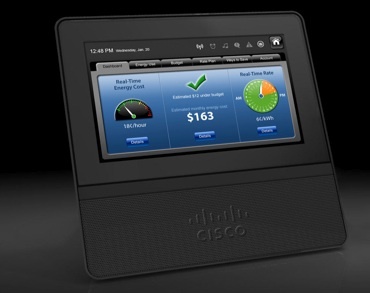 However, with Cisco’s decision to end its strategy of providing end devices and services for home and building energy management, the main products Cisco is selling is its grid-connected routers and switches, which are basically ruggedized versions of its Internet routers and switches. Cisco already has some under-the-radar, but tough, competitors in that space. Ipsen noted in her talk that while Chambers would love to just sell utilities boxes, Cisco knows that it needs to sell both “services and solutions” too, in addition to hardware.